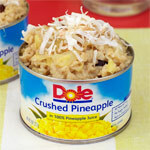 In a deep microwave safe bowl, combine water, coconut milk and the juice from the crushed pineapple can. Microwave on high about 3 minutes or until boiling. Stir in the pineapple pieces, brown sugar, vanilla, cinnamon and 1/2 of the shredded coconut. 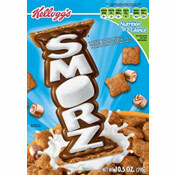 Microwave on high for 30 to 60 seconds or until mixture begins to thicken (2 minutes if using regular oats). Cover and let stand a few minutes before serving. Garnish each serving with remaining shredded coconut and optional raisins. For best results, use toasted coconut. You can toast your own by putting the coconut in a frying pan over medium heat. Cook - flipping and stirring often - until the coconut is lightly browned and fragrant. This can also be cooked on the stove-top using a medium sauce pan; with the liquid brought to a boil, lower temp and simmer on low heat. A microwave oatmeal recipe that takes less than 5 minutes to make. 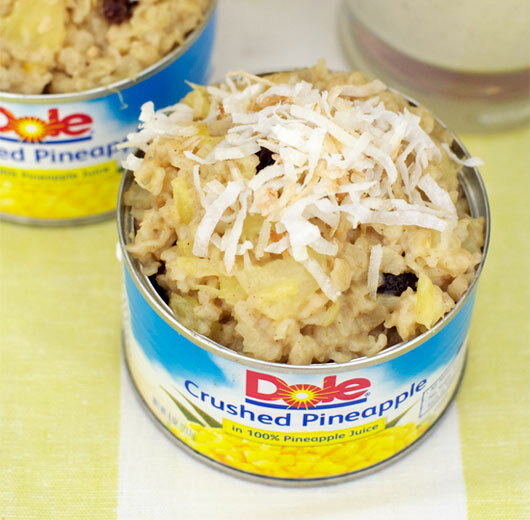 Loaded with the great tastes of pineapple, coconut and brown sugar. 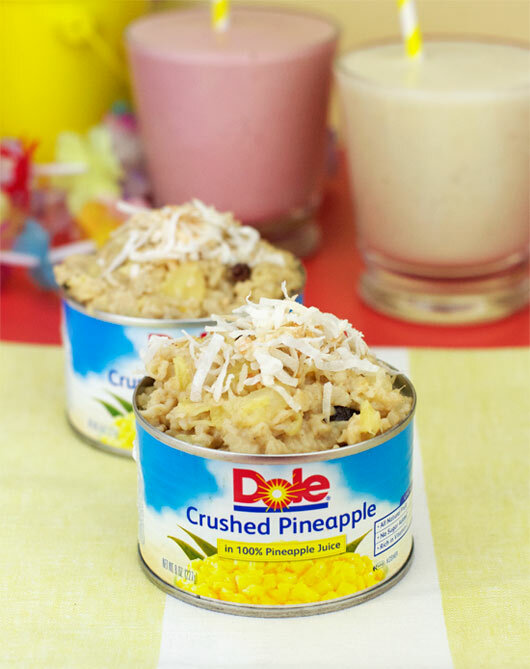 What do you think of Pineapple Coconut Oatmeal? Cut sugar in half. Cooked on top of stove. Used fresh pineapple.